Offers recreation for families as well as groups! 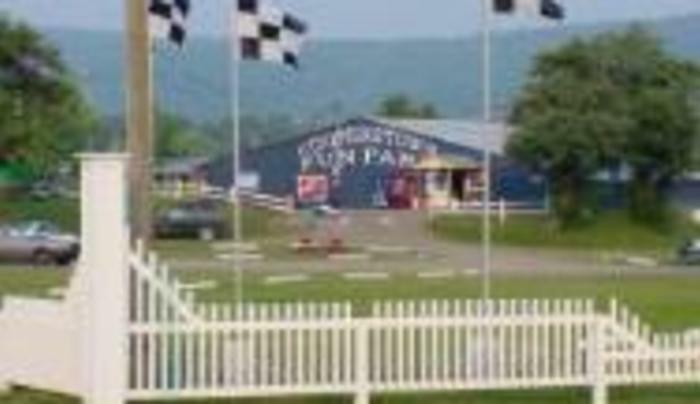 Outside they have a twisting 17 car go-kart track, bumper boats, 9 stall batting cage and a challenging scenic miniature golf course. Inside there is a vast arcade and a delicious Pizza and Ice Cream Parlor.